Sand, greenery, and painted sunset skies. All beautiful elements of nature that make deserts and beaches perfect complementary theme cousins when it comes to outdoor coastal weddings. 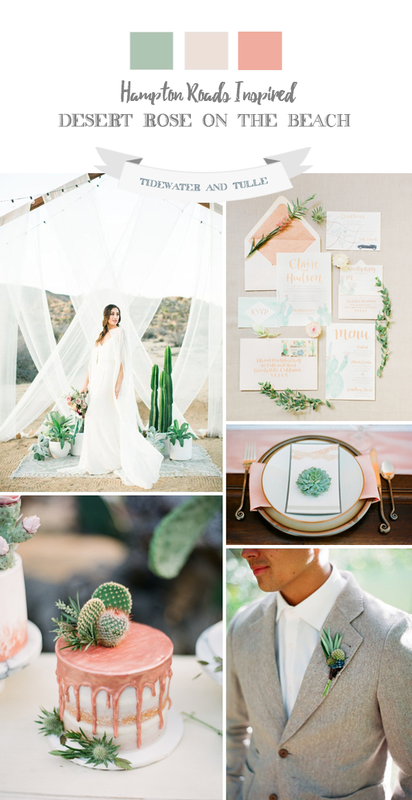 Inspired by copper and beige, cacti, and geometric texture, we're swooning over the summery ways to tie the knot on the beach with our latest desert-y inspiration board! With a shimmery warm metallic like rose gold against the cool blues of the Atlantic, everything sets the romantic scene for an elegant summer celebration. One of our favorite ideas is sweeping white drapery for a ceremony altar that allows the ocean breeze to move through and totally up the beach wedding vibes. By using hearty plants like succulents, you'll have long-lasting practical floral arrangements that can withstand our humid temperatures during the hottest months. 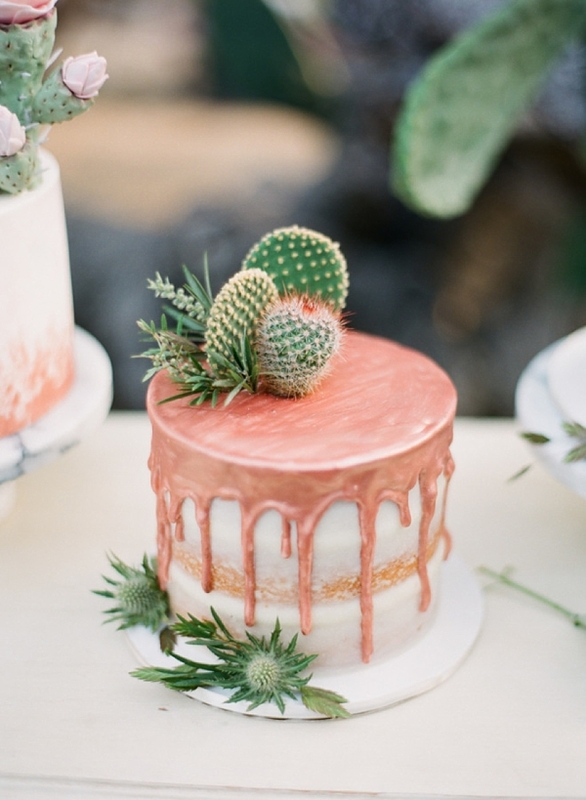 So pass the peach linens and watercolor stationery, and let's get our desert on in Hampton Roads!